A stunning design has been created using the latest LED technology resulting in this magnificent collection. 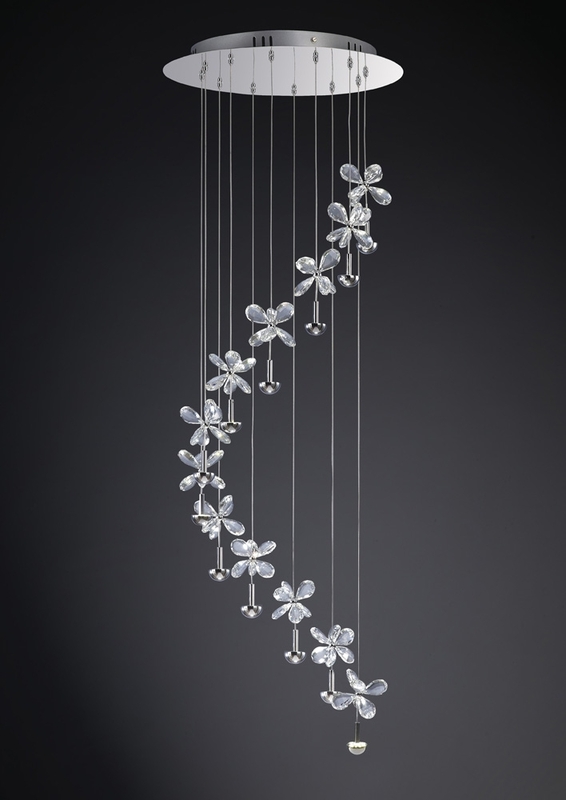 Contra to traditional methods of illumination, up-light projection has been used to enhance the illumination of the unique and beautiful crystal petals, which creates an amazing effect throughout the design. The masterpiece in the collection is the 28 light pendant which is simply stunning. There are also spiral versions which would be suited for staircase locations. The in-direct light simply leaves the observer bewildered as to how the dazzling effect is created.